There area many Granada Restaurants to choose from, you can find anything from elegant gourmet dining to economical Nicaraguan food. There are a variety of specialties that include French, Italian, Irish, Asian, Mexican as well as continental cuisine. Following is a list of options that will guide you in deciding where you want to dine! 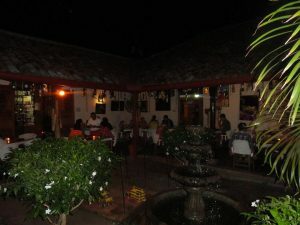 Most of the Granada restaurants and bars are located on the pedestrian street called La Calzada that leads from Central Park to the Lake Nicaragua, but there are also many restaurants on the adjoining streets to La Calzada and Central Park. Probably the best of Granada restaurants. 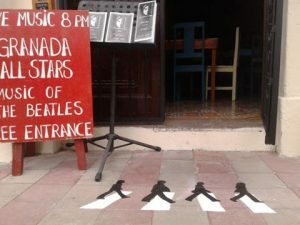 A really cool spot with Beatles memorabilia decorating the walls. Daily specials as well as a short, but complete menu with a high quality selection. Owners always on premises to insure the best of service and quality. Open daily except Wednesday from 4 to 10 p.m. Bar offers a variety of top shelf whiskies and liquors, and the best cocktails in town. Although pricey by Nicaraguan standards, it’s a bargain by international prices. Live music on Tuesdays and Thursdays. 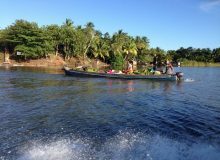 Kevin, the owner has a tour company and specializes in tours to Zapatera Island. 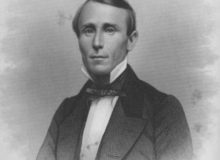 He is a great source of tourist information. Located one block north of the street behind the cathedral. Can’t miss the Abbey Road or Penny Lane sign on the corner! A pleasant setting at one of the leading restaurants in Granada. A new addition to the city’s expansive dining options, Ciudad offers a unique blend of world class restaurant and Nicaraguan hospitality in Granada. Who would have said it was possible? Ciudad has a delightful, changing menu, offering beef, fish, seafood and chicken, a bit of everything with a very creative touch. 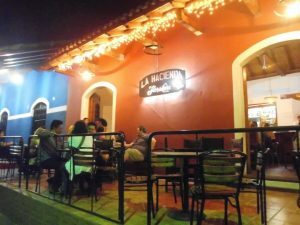 Kitchen is open and within view of dinners, a complete martini bar with top brand drinks and best of all, the warm Nicaraguan hospitality provided by its owners. Definitely on the top echelon of dining options within Granada restaurants. Great food, European management, and a fantastic location in front of the San Francisco Church. Located just across the old and restored San Francisco Convent, La Hacienda offers spacious street side dining which is perfect for the evenings and indoor seating in a large indoor area with high colonial ceilings that provide for a pleasant temperature. Featuring Tex – Mex food including fajitas, quesadillas, and tacos, but also burgers, salads and very good steaks! Open 7 days a week for lunch and dinner from noon till 10:00 p.m. however bar stays open till midnight. Great pizza in a romantic colonial setting. You can not beat it! One of the newer of Granada restaurants, located just across the street from the Garden Café. Featuring some of the best pizza and pasta in Granada. Great antipastos, and pizza is the authentic thin crust Italian specialty. Really nice setting in an old colonial home with an interior garden and a fountain. Decoration with prominent art as the facility is also an art gallery! Bar includes a full international selection as well as some of the coldest beer in town. Open daily from noon till 10:00 p.m. Owners are French and Italian, so both those languages are spoken fluently in addition to English and of course Spanish. They also serve a variety of authentic Italian gelatos that are superb! A small, intimate restaurant located, as its name states, in a garage! Open only for lunch, run by a retired Canadian couple they probably serve the coldest beer in town. 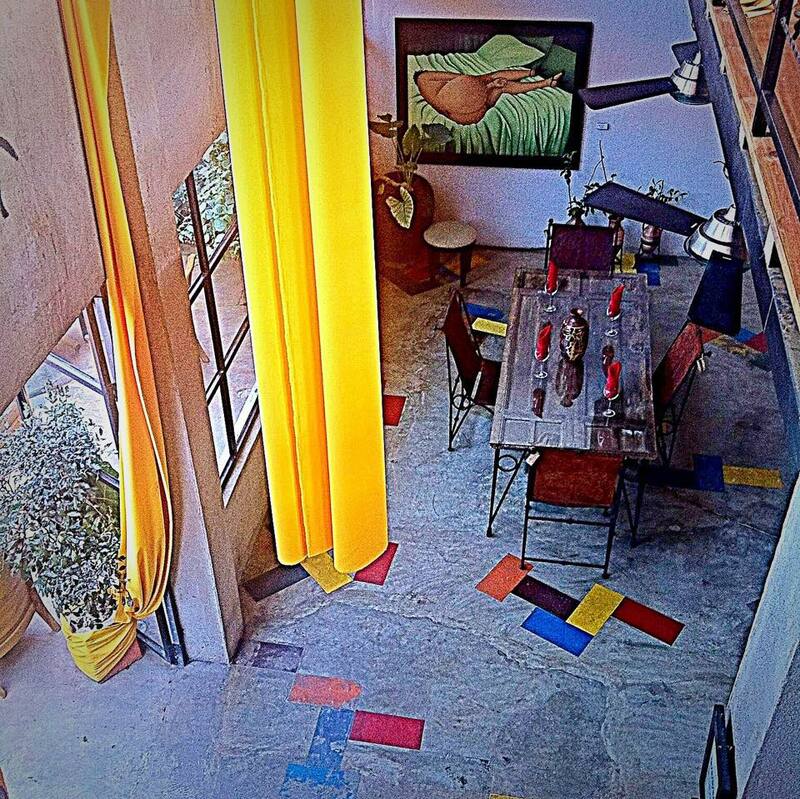 Located in a clean and pleasant environment very close to the San Francisco convent. Vegetarian options. Street side dining at Road House Granada. Great food and atmosphere. A sports bar located right on the Calzada Pedestrian Boulevard, two blocks east of Central Park. Full international bar and a menu featuring appetizers, salads, pasta, burgers and sandwiches. Outdoor street side dining as well as inside air conditioned option. Open daily from 11:00 am till midnight, later on Friday and Saturday. Probably the top sports bar & grill of all Granada Restaurants! An Italian restaurant specializing in pizza and pasta. Both are outstanding and the pizza toppings are very original. Located on the La Calzada, past the pedestrian section of the street. Owners are Italian and know how to bake a good pizza! Nice ice cold beer. Take out pizza service available. Charly’s bar and German restaurant offers great ice cold draft beer! A little bit of Germany in Granada! 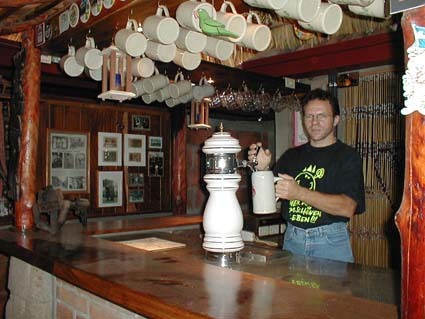 An authentic German restaurant in Granada. Owned by Charly a German expat living in Granada. Kind of out of the way, but easy to get to in a taxi. Menu includes a variety of German and Nica dishes. Good draft beer and a selection of German beers. Open for lunch and dinner from Wednesday to Monday. Located at the Hotel Casa San Francisco, about one block from the San Francisco Convent. Nice setting offering lunch and dinner daily from noon till 10:00 p.m. Featuring veggie dishes as well as fusion cuisine with a blend of just about anything! Happy hour daily from 4 to 8 p.m. Full international bar. This is one of the secret gems of Granada restaurants. Certainly worth eating here at least once during your stay! The Cacao and Chocolate museum coffeshop. A great place to enjoy fresh chocolate! A pleasant cafeteria with a museum like setting featuring the history of cacao and chocolate. Evidently they specialize in chocolate options, and also offer a daily buffet breakfast with an all you can eat option at $6.00 per person. Organic chocolate is also for sale here. Open daily from 7:00 a.m. till 6:30 p.m. Located at the Calle Atravezada, on the entrance to Granada. 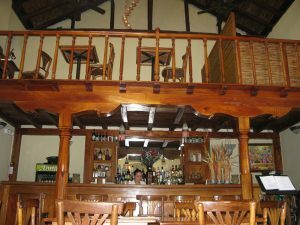 A pleasant lounge bar and restaurant located right on the Calzada. Informal and pleasant atmosphere. Open daily from 11 to 11. Varied menu featuring sandwiches, appetizers and main dishes. Full international bar. Street side and interior dining options. Located right on the Calzada. Good menu at affordable prices. Open daily for breakfast and lunch. Located in a lovely old, two story house right on the corner of Central Park. Probably the best spot to take a picture of the cathedral will be found on the second story terrace! Open daily for breakfast, lunch and dinner, featuring one of the most extensive menus in town, including a variety of salads, soups, pastas, sandwiches, poultry, beef and pork dishes. Prices are very reasonable. Bar offers and complete list of tropical cocktails to choose from. The second story opens at 4 p.m. and has a pool table. If you are looking for Granada restaurants with a view, this is certainly the best restaurant view in town! A small piece of Mexico in the heart of Granada! Authentic Mexican cuisine. Open daily from 10:00 a.m. till midnight. Pleasant outdoor, street side dining as well as a garden interior setting. Good service and a complete bar selection. Located right on the main Calzada pedestrian road. A combination of art gallery and restaurant bar. 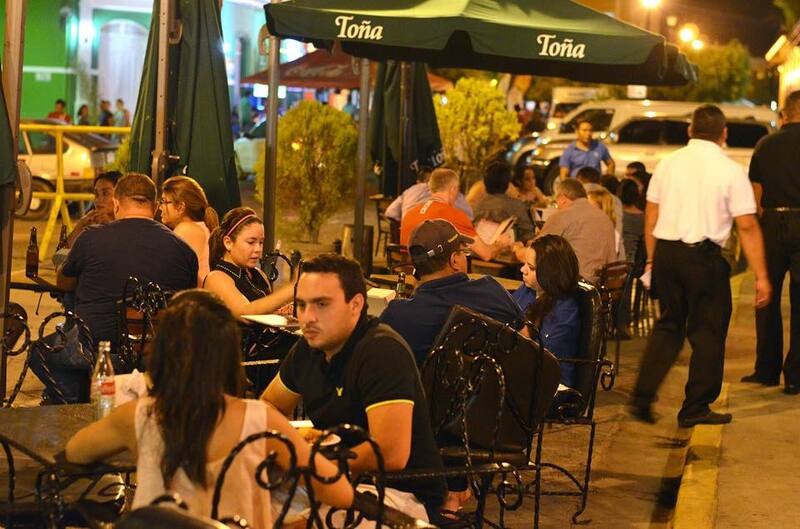 Located right on the Calzada, with indoor and street side dining. Varied menu that includes pasta, seafood, chicken and beef dishes. Full international bar service. Probably one of the most exclusive dining spots in Granada! Definitely elegant setting with an international gourmet menu. Air conditioned indoor dining as well as outdoor patio with very pleasant tropical garden. Located on the corner of Central Park. Open daily for breakfast, lunch and dinner from 7:00 a.m. till 10:00 p.m. 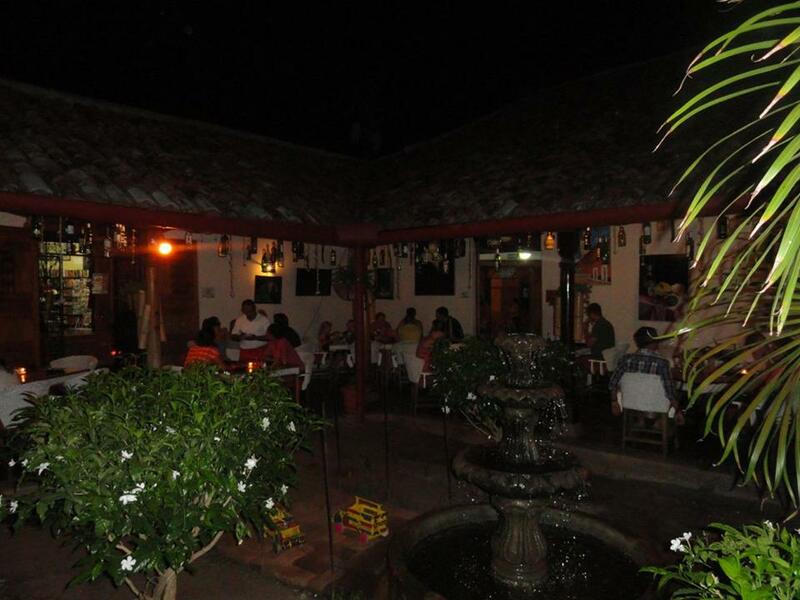 Certainly one of the elegant gourmet Granada Restaurants to you should consider! A pleasant expat bar with plenty of TV screens featuring international sports events. Also functions as a restaurant. Corner location, one block from Central Park towards the Lake makes it easy to find. Full international bar service featuring a variety of cocktails. Opens daily from 11:00 a.m. till 2:00 a.m. Restaurant menu includes sandwiches and snacks. Considered by locals the best steak restaurant in town. Located behind Granada`s lovely cathedral, El Zaguan is open daily from noon till 11:00 p.m. 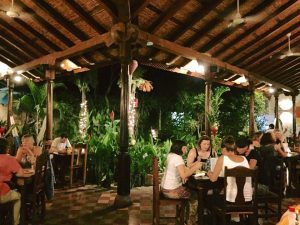 Specialty are outstanding charcoal grilled steaks, fresh fish from Lake Nicaragua as well as pastas. Very good service with a local patio setting that is very pleasant! Great around the garden dining at the Garden Cafe. One of the more popular options in town for breakfast and lunch. Very nice old house offering outdoor garden side sitting as well as indoor atmosphere. Lunch options include some of the best salads in town as well as a variety of sandwiches. Open daily from 7:00 a.m. till 9:00 p.m. The most popular breakfast restaurant in town! Located just across the street from the San Francisco Convent, this is without doubt the most popular expat breakfast get together spot in town. 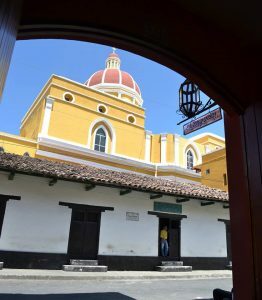 A great source of local information from expats from around the world that live in Granada. Open only for breakfast from 7:00 a.m. till 2:00 p.m. Open daily. Across the street from Central Park. Free Wifi available for guests. 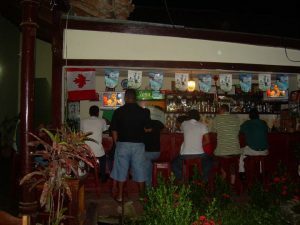 Coffee, tea, and chocolate beverages, as well as local beer and rum drinks. A selection of bagels and pastries, as well as soy burgers is available. The Nicaraguan chicken franchise is located adjacent to the Casa de los 3 Mundos. For those in need of a quick bite in an air conditioned atmosphere, this is one hell of a good option! Open daily for lunch and dinner. Another Nicaraguan franchise option! Open daily for breakfast, lunch and dinner. Serving, yes you guessed! Pizza! An authentic Italian restaurant featuring Pizza and Pasta. Probably the best pizza in Granada. Located a couple of blocks east of Central Park on the Calzada. Street side and indoor dining options. Open Tuesday to Sunday from 11:30 a.m. till 10:00 p.m. Their pizza is cooked in a wood oven giving it an authentic, Italian flavour! A nice selection of bocas, burgers, chicken, pork and beef specialties at reasonable prices. Full international bar. Pleasant setting with indoor and outdoor streetside dining. Located on the Calzada. Open Tuesday to Sunday from 10:30n a.m. till 11:00 p.m., later on weekends. 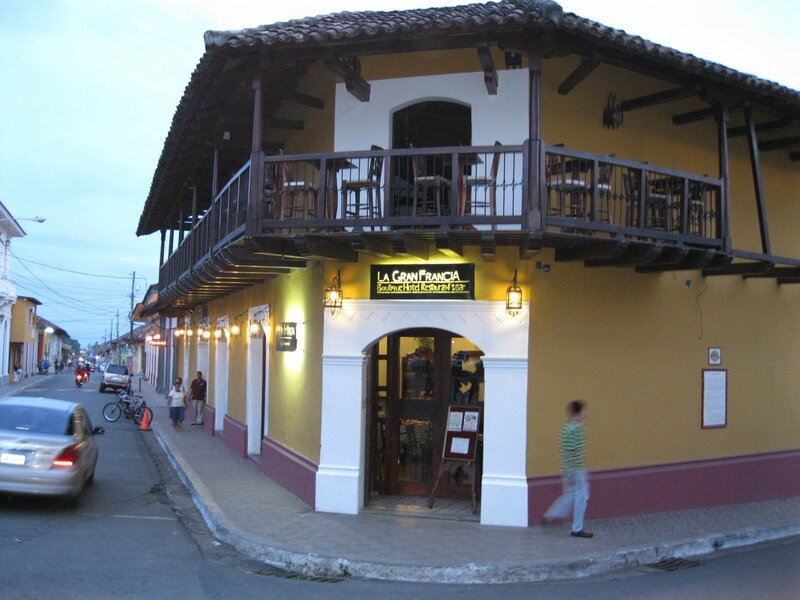 Located at the Elegant Ruben Dario Hotel, right on the Calzada. Featuring coffee, chocolate beverages, as well as fresh fruit smoothies, pastries and desserts. Nice colonial building overlooking the Calzada. Open daily from 6:00 a.m. till 10:00 p.m., on weekends, till 11:00 p.m. 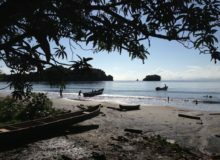 Located on the Calzada, O`Sheas is open daily for breakfast, lunch and dinner, featuring what is probably the best fish and chips to be found in Central America. Extensive menu includes Irish Stew, fajitas, burgers, sandwiches and a nice selection of appetizers amongst others. Full international bar including Guiness Beer. Owner is always on site making sure service is outstanding. Definitely a good option! Certainly a landmark as far as Granada restaurants are concerned! An interesting restaurant with a very Asian feeling to it! Fusion cuisine with a bit of everything from around the world. Open daily from 11:00 a.m. till 10:00 p.m. Happy hour from 4 to 7 p.m.
Spanish restaurant offering tapas, paellas and continental cuisine. 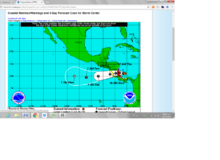 Located one block south of La Calzada. Pleasant garden and patio setting. Open daily except Mondays for lunch and dinner, from 11:00 a.m. till 3:00 p.m. and from 6:00 p.m. till 10:00 p.m., sometimes later. Full international bar and a nice selection of wines. 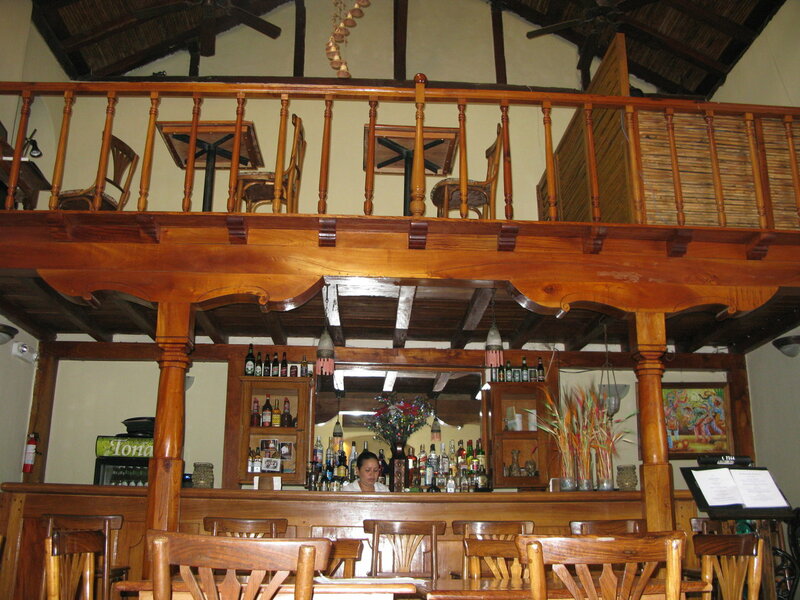 A nice, informal Nica atmosphere in a thatched roof setting. Open daily for lunch and dinner. Typical Nica cuisine. Nice ice cold beers. Gourmet fusion cuisine in the heart of Granada! Nice interior patio setting with good service and a full international bar. Menu features prime cuts of beef, chicken, lobster, shrimp and pastas with seafood. Open daily for lunch and dinner from 11:00 a.m. till 10:00 p.m. Good service! 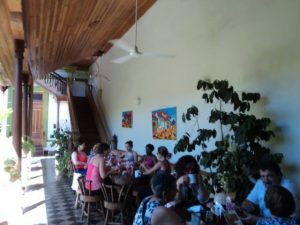 A small, family run restaurant located a few blocks from town, one block south of the Xalteva Park on the first street south of xalteva. 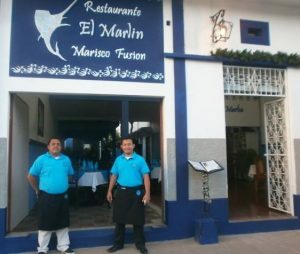 For reservations call 8983 4840 or E-mail: [email protected] The restaurant does not look particularly inviting, and is not fancy, but they offer what is probably the best fusion seafood cuisine in Granada. Service is OK, prices are very reasonable, they offer ice cold beer and a selection of drinks. 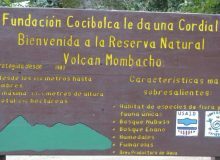 If you are on an adventuresome mode, give this place a try, you will enjoy the food! 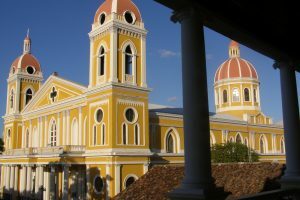 Located on the lake front, within the Centro Turistico Granada. Typical Nica cuisine with a specialty in fried fish. Open Sunday through Thursday from 8:00 a.m. till 6:00 p.m., and around the clock (24 hours) on Friday and Saturday. Good party scene on weekends, when locals like to come here after dinner, disco’s etc. Full international bar. Pleasant music that will allow you to have a conversation with your friends. 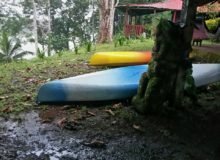 They also have boat and kayak tours to the Isletas de Granada. A very pleasant setting right on the lake with access to boats for tours around the lake. International and Nica cuisine. Open daily for lunch and dinner. Very popular on weekends. The Marina is located within the Centro Turistico Granada lake front complex, go towards the end of the road and follow the signs if driving your own car, if using a taxi, the local driver will know where it is. 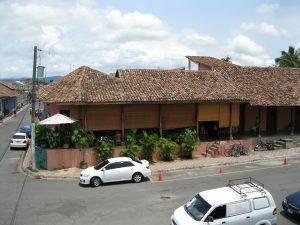 A branch of the famous Henry’s Iguana Restaurant in San Juan del Sur. An extremely nice setting, on the lake with very good service. English spoken. Menu includes salads, burgers, pastas, seafood, beef and chicken dishes. Very friendly staff. Open Wednesday to Monday from 9:00 a.m. till 8:00 p.m. Full international bar with great cocktails. 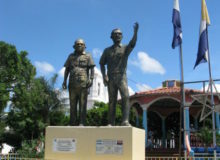 Located at Marina Cocibolca. 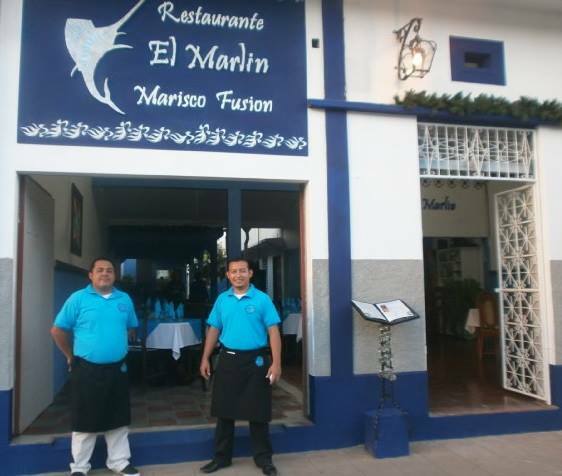 A pleasant hotel and restaurant, located adjacent to Marina Cocibolca. Restaurant open seven days a week and providing Nica cuisine, evidently with a specialty in fish.